Elinor Carter was born in York and grew up surrounded by music. At school she was primarily an instrumentalist, but she went on to be a choral scholar at Clare College, Cambridge, where she gained her degree in French, German and Linguistics. She continued her vocal training at the Royal College of Music, studying with Neil Mackie, John Blakely and Roger Vignoles. During her time there she won prizes for Bach, Handel and English song and was awarded a Senior Exhibition. Elinor has performed widely, notably under the baton of Sir John Eliot Gardiner, with whom she also recorded Vivaldi’s Gloria. 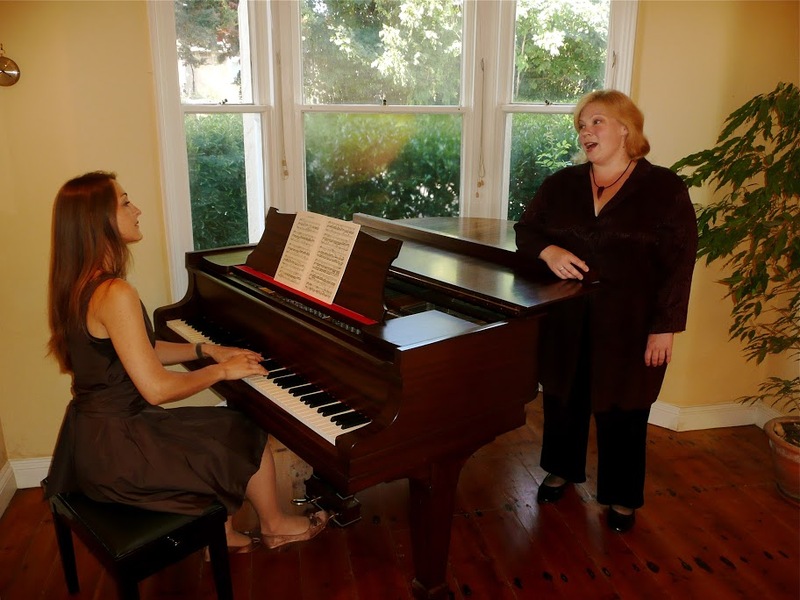 Recitals have taken her to America and to France on a regular basis, and she has a particular fondness for the 20th Century English and French song repertoire. In 2002 she opened the Three Choirs’ Festival in Worcester Cathedral with The Dream of Gerontius by Elgar, and she has sung his Sea Pictures on two occasions. Elinor has also performed Mendelssohn’s Elijah with the CBSO and Les Nuits d’Eté by Berlioz with the Northern Sinfonia. She currently lives in Oxfordshire and divides her time between singing, teaching and walking her dog.